Person First Project is a photo blog that seeks to give those currently or formerly experiencing homelessness in D.C. the chance to share their stories. In doing this, we hope to reduce the barriers that separate people in D.C. and spark a dialogue. The Person First Project aims to connect us – and to make us all feel a bit more human. 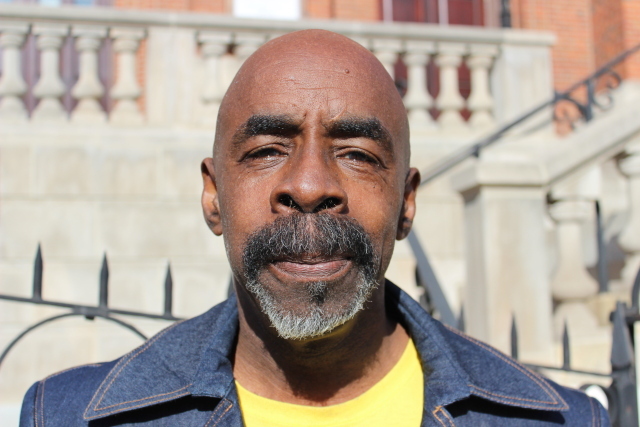 “My name is Andre, a native Washingtonian, living here in Washington, D.C. I’m staying at a shelter in northeast called the ‘New York Avenue Shelter.’ It’s a building where they hold about 260 men. I’ve been there about 90 days. I’ve been homeless, but not helpless, for about three years. I had done asbestos and lead removal, and restoration projects, like the U.S. Supreme Court and the Pentagon where the airplane crashed in 2001. Then it sort of bottomed out. There was a long period where work wasn’t really viable. They had major companies here in Washington: Clark Construction and Miller and Long, which we call ‘Killer and Long.’ The reason why I mention those two companies is because these companies were supposed to hire D.C. residents. I was in the first ten to apply for a project called City Center. These were six brand new buildings that were gonna be built. We went to the trailer to apply; there was never a phone call from that particular location. You don’t necessarily want to bring things back to the family. The family always would like for you to come to stay with them, but I felt that I should not bring my drama to them, and I knew that we had shelters where I could come and stay for a short period of time. Author’s Note: Andre is currently experiencing homelessness. He is staying at the New York Ave. Shelter in Ivy City.